*Terms and Conditions. This is a game of skill. Chance plays no part in determining the winner. Each entry will be individually judged. The competition will close at midnight on 25th January 2018. The winner will be announced before midnight 31st January 2018. The winner will be the person whose four words the judges determine to be the most inspirational. The prize is two, best available, return economy rturn airfares from Sydney, Brisbane or Melbourne to Hobart; Two nights accommodation at the Tower Motel in Hobart; Two days small car rental. Lunch at Frank’s Cider Bar & Cafe; a calm-water sail on the historic Rhona H; a Bruny Island Cruise with Pennicott Journeys. 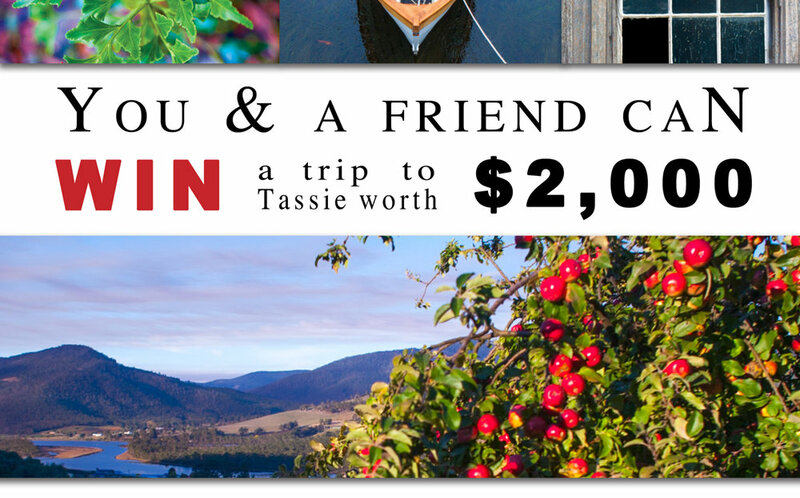 The maximum value of the prize is AU$2,000 RRP. The prize shall not to be taken in school holiday periods or public holidays. All flights must be booked at least 60 days prior to departure. The prize does not include: Transfers, pre/post accommodation, items of a personal nature, bar and shop purchases or travel insurance. The prize must be taken before end October 2018 and all travel must be booked through Wildiaries. Employees of the promoters ("Wildiaries" and “Frank’s Cider”), its agencies or their immediate families will not be eligible to enter the competition. The judges' decision will be final and no correspondence will be entered into. All entries become and remain the property of the promoter. The promoter reserves the right to withdraw or amend the competition as necessary due to circumstances outside its control. The prize is non-transferable, non-redundable and non-redeemable for cash. This competition is only open to residents of Australia. By entering this competition, you authorise Wildiaries, the Belle Miners and Frank’s Cider to contact you.